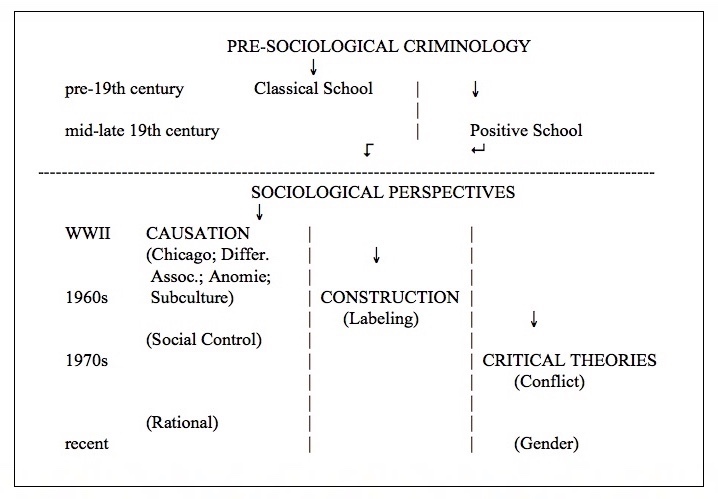 This undergraduate course provides an overview of theoretical, empirical, and policy issues in the sociology of deviance. The primary emphasis is on the characteristics of various theoretical approaches in criminological sociology, the policy implications of these perspectives, and selected examples of empirical research. Upon successful completion of this course, students should be able to engage in sound scholarly thinking about deviance and the control thereof, including criminalization, as important social and sociological issues. This is not a course dealing with a series of topics of deviance or crime but about sociological models to study deviance and its control. Also, we will devote attention to some examples and research applications and thereby also discuss various aspects of deviance and its control in our society. Depending on student feedback and participation, the class will involve video presentations. Besides a textbook providing a thorough introduction and discussion of the major criminological perspectives, students will also read a few additional articles from the instructor’s research, which will further contribute to your understanding of the course topics. Prerequisites: This course is primarily designed for sociology majors and minors, but other students with sufficient background knowledge are welcome to sign up. A necessary prerequisite for this course is SOCY 101, or any Sociology 300-level course, or consent of the instructor. The grade for this course is based on several in-class tests and a final exam that is cumulative. The tests and final exam involve multiple-choice questions and open-ended questions requiring short answers. All tests and the final exam are based on materials from the lectures and the required readings. More detailed explanations will be provided during the semester. Instructions and other materials are handed out only in class. Please note that the USC Undergraduate Studies Bulletin states: “Students are obligated to complete all assigned work promptly, to attend class regularly, and to participate in whatever class discussion may occur... It is the student’s responsibility to keep informed concerning all assignments made. Absences, whether excused or unexcused, do not absolve the student from this responsibility...” Further specifications of exam policies may be determined during the semester. If students know they will miss or already have missed a class, I appreciate very much that they let me know. Students are of course also very much encouraged to talk with me during any of my four weekly office hours about any emergency situation that may arise. Besides a textbook in criminological theory, the readings for this course contain a set of theoretical papers and research articles that are posted in the documents section on Blackboard.